The wonderful thing about a metaphor is that it allows one to describe bewilderingly complex concepts by discussing something else that has similar qualities and is much less bizarre. Take learning for example. The whole issue of what it is to learn. What’s involved in it? How we do it ourselves, and more importantly, how we encourage it in our young? I’ve spent a great deal of time thinking about this over the years and have come to the following conclusion. The only effective way to cover any of that is to discuss something else: cycling. Bear with me, I think this’ll work. You see, bike riding, like learning, is usually, although not always, fun. It takes our effort and magnifies it, making us more effective. Powerful, if you like. It rewards our efforts by allowing us to move faster over difficult terrain which we could otherwise never cross. It takes us to our destination but often the journey and the way we took it becomes more important. It’s not an ability that comes naturally but it is something virtually everyone should be able to do with a little help at the start. We all need instruction in how to do it one way or another but once it’s mastered it’s a glorious freedom. When we’re little, we ride for the sake of riding. Where to, and for how long, doesn’t matter very much. We ride with our friends. It’s an awesome part of growing up. Of course, when we actually do grow up riding bikes becomes serious. Learning also. It becomes a form of competition. Riders now ride in seeming isolation from each other. Their loved ones (who aren’t riding in the comp themselves) suddenly hold expectations of the riders and invest in ways to assure themselves of success. They purchase the ‘right’ equipment. They advocate the best practice technique and strategy. None of that comes cheaply. They measure performance and place enormous significance on incremental improvement or decline. ‘Support crews’ urge on from the sidelines, coaches and team leaders conspire, cajole, inspire, insist and plead for more productivity. What can easily be forgotten is a simple fact; the bike will not move one inch if the rider in the saddle does not move the pedals. No matter how much everyone else wishes to help move the rider onward, it’s ultimately up to the body on the bike. I doubt any of us have ever seen a child who didn’t find riding a bike exhilarating and I’d suggest that similarly, there’s never been a child who didn’t find the world a curious place and didn’t enjoy learning and discovery. By the same token there are plenty of children who have grown to young adulthood out there and have changed their opinion. Now they find cycling a chore, too much bother, and question its relevance in their life while older and wiser heads know different. The same can be said for learning. Here’s where I drop the metaphor and write a little more plainly. The true secret to individual students’ academic success is the engagement and efforts they generate themselves. The involvement of parents, teachers and schools in general is significant but still minor by comparison. If we really want to affect improvement in those that we feel are underperforming, perhaps the first step is to recognise that they are the ones who need to metaphorically ride the bike and for some reason they’re finding the ride a tiresome uphill experience. If we then work out with them why they’re struggling, give them guidance, and help them find a sense of purpose in carrying on, then I think we can safely say everyone is doing their job. 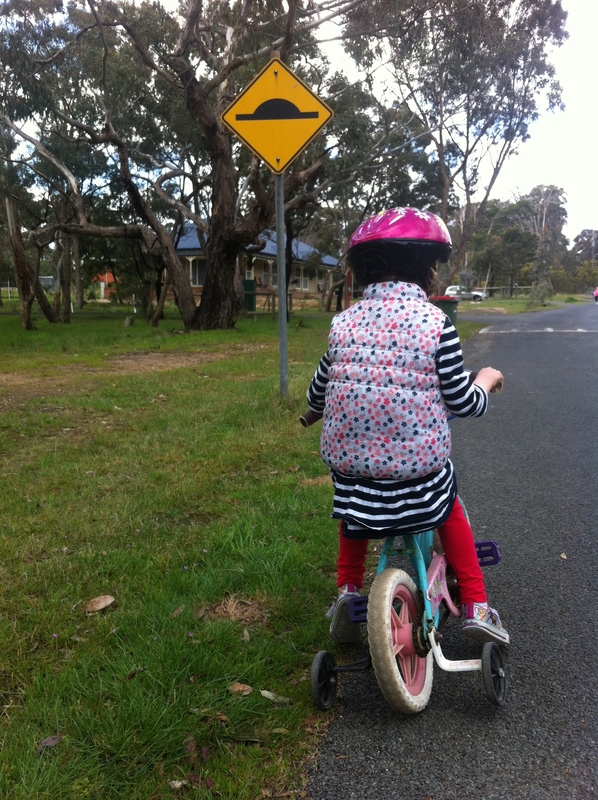 Oh, and one more thing, they say you never forget how to ride a bike … surely learning is the same.